Rare and welcome chance to see an iconic play by one of America’s greats. What stands out is both the artistry and pain of Tom Williams. Life cost him so much, and he dealt with it by endlessly working through his defining stories, like psycho therapy. Well done, but sad. The play is somewhat old-fashioned and formulaic – starting in minute one with extremely awkward seduction scene. It’s likely that hardball in the real corridors of Republican power is played considerably harder than this. But what is inspiring and excellent is three strong performances and entrepreneurial producing spirit of Brandon Woolley. Often in Portland theatre, the most passionate and authentic shows are created by the smallest companies in the smallest spaces. Over the years, more than a few season highlights have been the result of motivated artists making their own opportunities in this way. Free from the large house imperative to fill seats or slots, the small scale project-driven approach mounts a show only when a compelling concept appears. Well, it looks like another one has appeared. Brandon Woolley is going to produce and direct THE GOD GAME by Suzanne Bradbeer in the new Shaking The Tree space in February. The cast is a Portland dream team: Leif Norby, Laura Faye Smith and Kelsey Tyler. 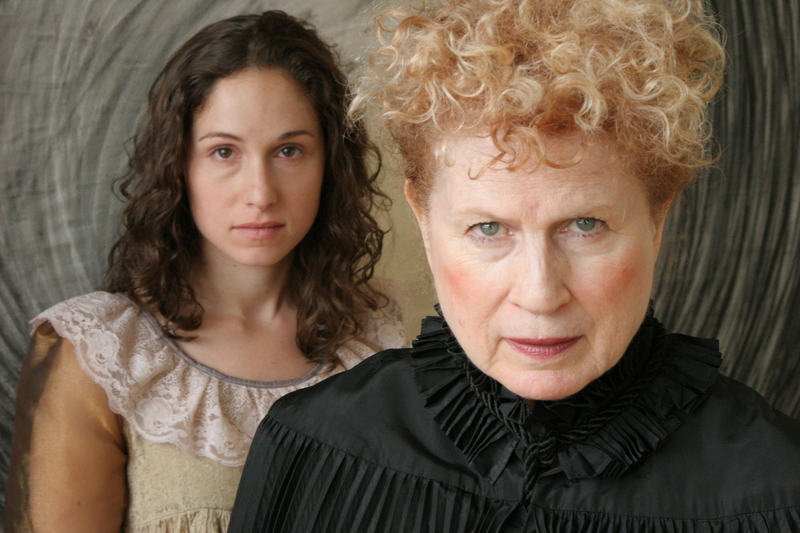 The play is an Ashland New Plays Festival winner and sounds like a topical and bracing ride. So get out the new year’s calendar and find some room. Shaking The Tree, one of Portland’s most interesting theatre outfits (of any size), is getting bigger. 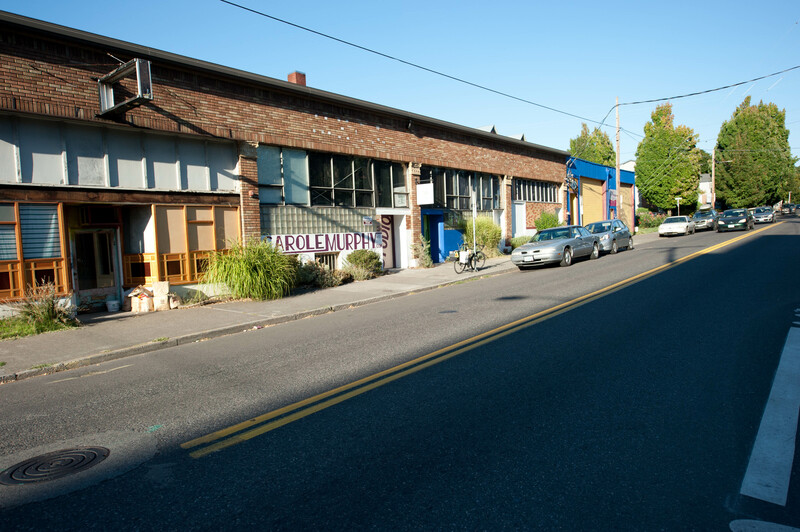 In mid September, the innovative Portland theatre company helmed by Samantha Van Der Merwe is moving from their current small studio location on SE Stark to a 2800 square foot warehouse space on SE Grant. For those familiar with the unique and deeply theatrical worlds Shaking The Tree creates, such a giant upgrade in space is bound to launch equally big new things on stage. 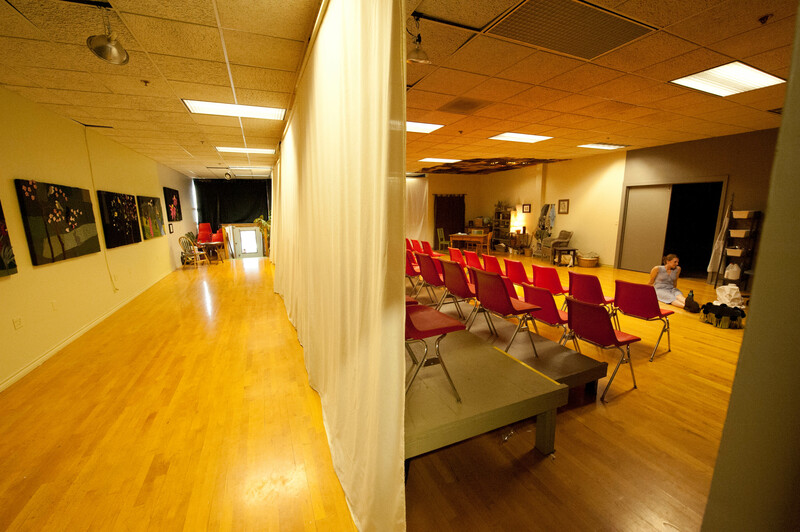 Both planned 2014-15 STT shows will take place in the new space. Going soon. Shaking The Tree’s old studio on SE Stark. Get ready for a big upgrade. As you know, Portland’s smaller performance spaces produce much of the city’s theatre gold each season. And here comes the next show from stellar SE outfit Shaking The Tree. Run – don’t walk – for your tickets. Coming up next at Shaking The Tree: ONE FLEA SPARE by Naomi Wallace. If the past is prologue (namely, the string of good shows Shaking The Tree has put on), you can be pretty confident this production is going to be a mid winter season highlight.